Our new processing system allows us to supply bales weighing up to 70lbs. Bales are tied with 3 strings each. This allows for more convenient and practical use of storage space, and reduces labour cost due to breakage. Bales are bundled in stacks of nine, which may be handled mechanically using a forklift or skid-steer. 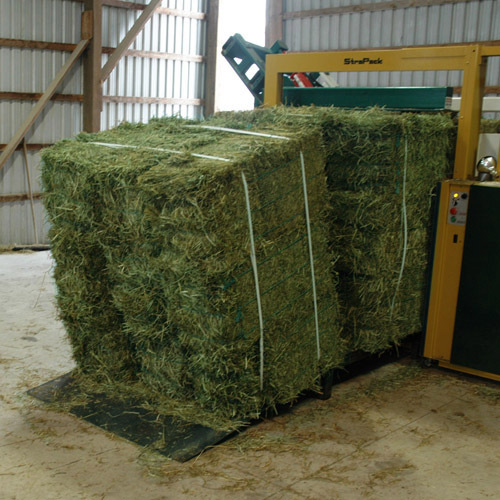 Alternatley, the bundles can be cut apart for handling of individual bales. With this new handling system, because bales are bundled, you can load and unload trucks via forklift or skid-steer (bobcat). This process not only reduces loading and unloading time, it also cuts labour costs and keeps chaff losses and breakage to a minimum. The bundles can be loaded into large transport trucks for maximum loads, and can be loaded onto smaller trucks for local delivery. 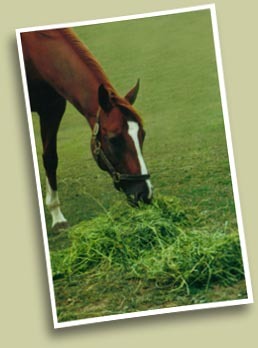 Bundled bales can be delivered right to the farm, where it is fast and convenient to cut open a bundle at feeding time. 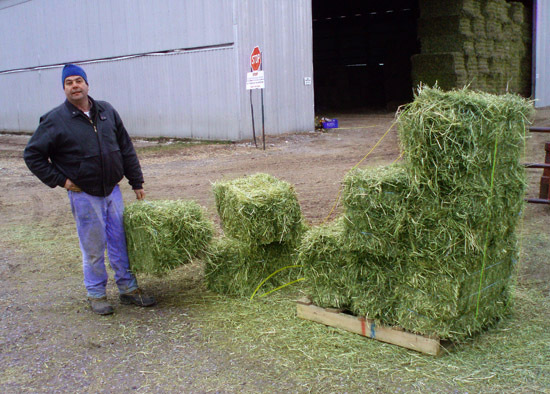 The individual small square bales can then be fed, flake by flake, just like a traditional bale. 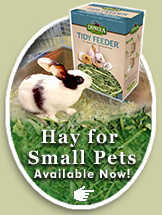 And because our hay is handled mechanically, from the farmer's field right to the customer's stable, we ensure a good leafy product with excellent feed value.